Whitney Houston Live: Her Greatest Performances is the pop singer's first live album. Her mentor, Clive Davis, said the album, out on November 10, will showcase her legacy. "It shows why she is at the absolute historic top rank up there with Aretha Franklin and Barbra Streisand as the greatest singers of our lifetime," he said in a recent interview. "It really has been a labour of love on my part to go through every concert performance, every TV appearance." Whitney was found dead in a hotel room in Beverly Hills, California, in 2012. She was 48. Davis produced the album, which includes Whitney's 1983 performance on The Merv Griffin Show, where she sang Home from The Wiz, and a 2009 performance on The Oprah Winfrey Show. 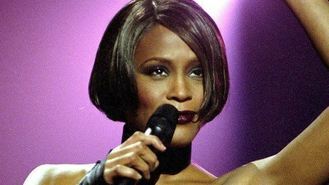 Some of the songs are ones that Whitney performed live, but never recorded. Davis, chief creative officer of Sony Music Entertainment, said it was hard going through videos to select the final track listing. Pat Houston, Whitney's sister-in-law and head of her estate, didn't find the process too difficult. "It's such an honour even after she's gone to be able to honour her legacy and to continue working on her music and just making sure the fans all over the world have a continued moment of her greatness," she said in an interview. Davis said he found the CD/DVD a success when he played it for his guests at a recent dinner party. "It just couldn't have been a better entertainment and emotional experience because the bittersweet part of it is the greater you see she was," he said. "How tragic that she went so young, so that's the bittersweet part of it."